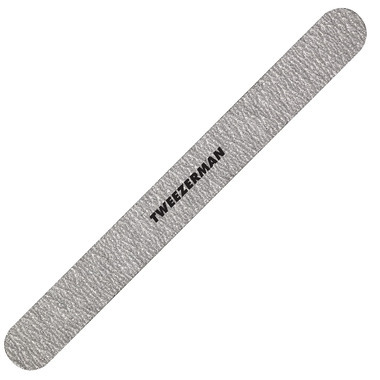 This Tweezerman Eco Friendly File is 100% biodegradable and uses 100/180 grit for medium sanding on acrylic nails as well as for filing edges on natural nails. To Use: To shape, gently smooth and round-off ragged edges, file from the outside of the nail toward the center. File in one direction — don’t saw back and forth, as it may cause splitting and provides less control.